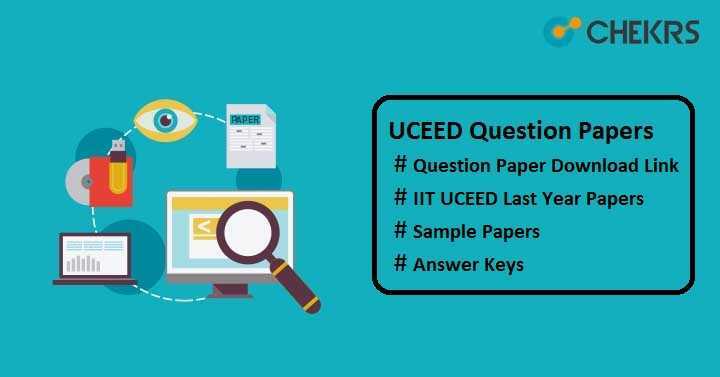 UCEED Question Paper 2019: UCEED 2019 is a national-level entrance exam conducted by IIT Bombay for admission in to BDes course in IIT Bombay, IIT Guwahati and IIITDM Jabalpur. From the next month, online registration will be started. Few months are left in the exam, so without wasting your time start preparing for the exam. To get selected in this exam, you can take help of UCEED Previous Year Paper. After the completing the entire syllabus prescribed by UCEED, candidates should start their preparation by giving online mock test and solving the IIT UCEED Sample Papers. Here we have provided UCEED Exam Papers with the Answer Key. Candidates can download all the papers from here and by practicing it you can get maximum marks in the examination. With the help of IIT UCEED Previous Year Paper, candidates can get idea of how the paper will come. To download the previous year paper, you can find the download link here. Candidates are advised not to waste your time and start your preparation now. After publishing the UCEED Previous Year Paper on the official website of UCEED, IIT Bombay will upload the UCEED Answer Keys also. Candidates can match their answers with the answer key released by the officials after solving the UCEED Last Year Paper. Check the download link given below to download the answer key of respective papers. If you have any query related to UCEED Previous Year Papers, please write in the comment section below. We will respond to it as soon as possible. Good Luck!! !